reputation for designing homes that offer an admired interpretation of classic New England character coupled with modern flair and functionality. For Alec R. Tesa AIA, the firm’s principal, the process begins by taking the time to thoroughly understand the client’s vision and how they live. This thoughtful process, from concept to completion, is a partnership unfolding over time ensuring that every detail is carefully considered. 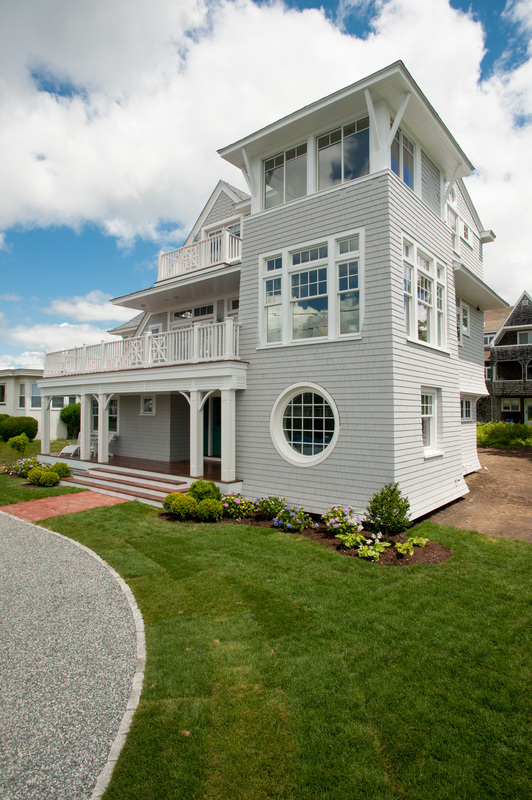 Shingle-style homes throughout coastal New England. By drawing inspiration from this stunning region and uniting it with an updated aesthetic, A. Tesa Architecture creates homes which complement a surrounding neighborhood yet are undeniably original. This approach to design has allowed the firm to design many Newport homes that have been met with appreciative approval from the Newport Historic District Commission. front porches and thoughtful window selection, exceptional architectural details are the hallmark of each A. Tesa Architecture design. Alec, a previous recipient of the Henry Adams AIA Medal from the American Institute of Architecture, and his team work carefully to incorporate such details into each of their designs.